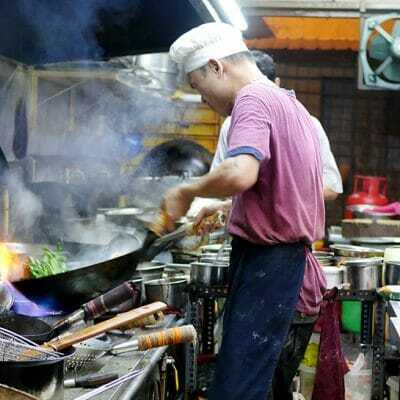 Mandarin Oriental Kuala Lumpur graciously invited rif and I to Chef Nicolas’ dinner on 4th October, paired with a selection of vintage Moet & Chandon. I tucked into some champagne before dinner and adjourned later on to MO Grill’s private dining room for the 7-course meal. The Seared Foie Gras with Lemon, Endive and Treviso Vegetables came paired with Moet & Chandon Brut Imperial NV, and tasted as sumptuous as it looked. The bubbly was crisp and fruity, very nicely paired. Next was the Hokkaido Deep Sea Scallop with Green Peas and Minted Grapefruit, paired with the Moet & Chandon Grand Vintage 2004. Echoing Chef Nicolas’ philosophy, the scallop was beautifully seared, complemented by the vintage 2004’s supple overtone. This champagne is light golden in colour, with fine, jewel-like beads. Very straightforward, yet complex with a long and rich finish. rif liked this as he felt it still retained a very ‘champagne-like’ nature, compared to the vintage 2002. I on the other hand loved the Moet & Chandon Grand Vintage 2002, paired with the Contemporary Style Onion Soup with Onion Ice Cream. This champagne was almost wine-like, with refined bubbles and a smooth mouth feel. As this decants, the flavours developed further – bolder fruit flavours, with strong hints of mandarin orange and grapefruit. Chef Nicolas’ onion soup is served with onion ice cream; very contemporary and went well with the grand vintage 2002. That said, I preferred the version he served in 2011. 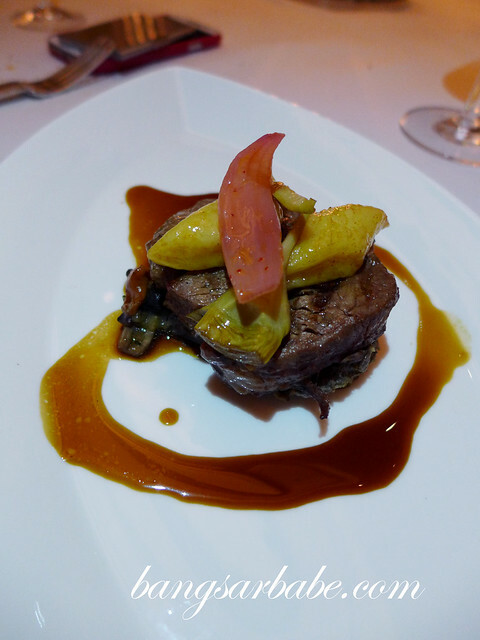 I was less excited about the John Dory Fish with Variations of Beetroot (paired with Moet & Chandon Rose Imperial NV) compared to the Black Angus Beef Fillet with Forest Mushrooms, Potato Gnocchi and Marinated Purple Artichokes. 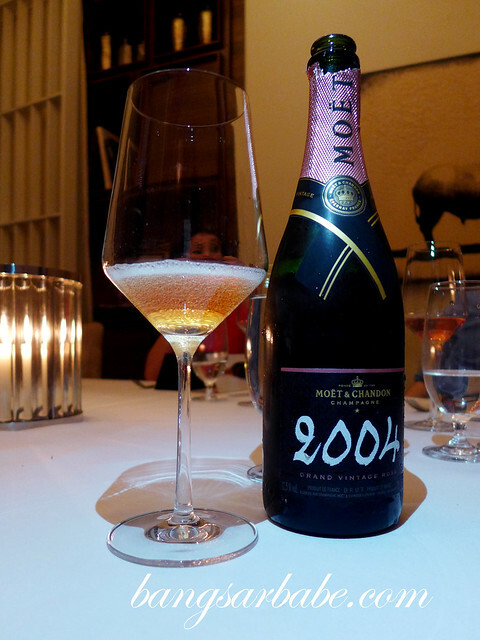 The latter was paired with the Rose Grand Vintage 2004 – medium bodied, subtly tangy and a refined finish. Such a tease! 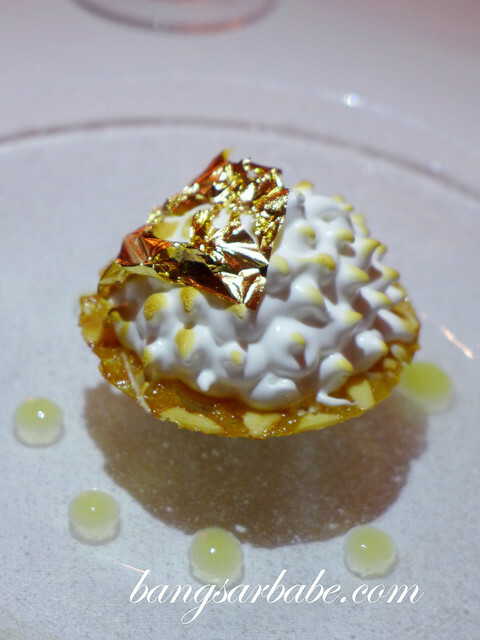 The Lemon Tart with Meringue and Almond Crumble was a vision of gold and quite delicious too. 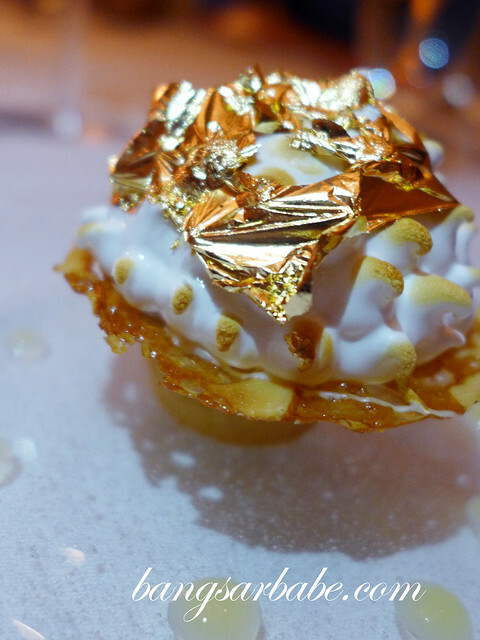 I liked that the pastry base was perfectly buttery and accented by the citrusy nature of the meringue. 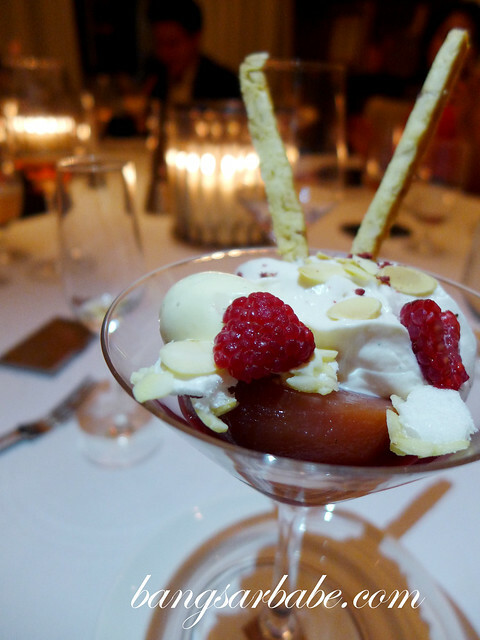 Chef Nicolas’ Melba Peach was served with a glass of Chateau d’Yquem 2006, a sweet and concentrated dessert wine with strong floral notes at the end. Another 5 years or so and this would taste even better, I feel. 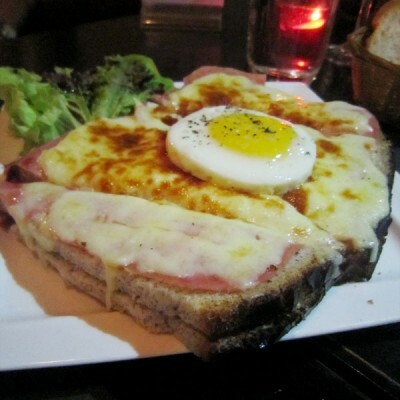 Overall, it was a wonderful dining experience and the champagnes paired beautifully with the dishes. Thank you Mandarin Oriental, for inviting me to dinner. 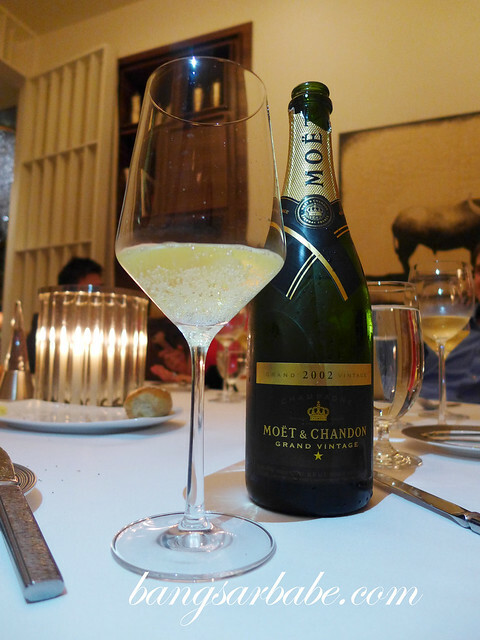 The Vintage Champagne Dinner with Moet & Chandon (4th October 2013) was priced at RM598++ per person.